The purpose of this award is to recognize the extraordinary contributions and quality service of faculty members supporting the mission of South Texas College. The Faculty of the Year award honors faculty who are committed to excellence in the five main areas of faculty performance. Faculty Spotlight was created to recognize and celebrate faculty of South Texas College for their commitment to the mission of the institution and for believing in not only the College’s core values but also in our students and their dreams for the future. 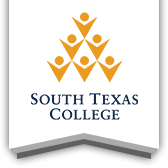 The purpose of this recognition program is to provide a framework for recognizing full-time or part-time faculty members who have established an exemplary, creative, and effective teaching technique, practice, or activity at South Texas College. This award recognizes an outstanding online faculty for their combination of creativity and innovation with educational technologies, powerful instructional strategies, excellent interactivity with online students, quality of eLearning courses, and well-designed course materials. The purpose of this recognition program is to provide a framework to recognize full-time staff members in Academic Affairs, who have demonstrated exemplary performance while at South Texas College. South Texas College is committed to serving the students and communities of South Texas by recruiting and retaining faculty who are committed to academic excellence, integrity, and scholarship. Please use the links below to learn more about Academic Classification for Faculty. This award recognizes the efforts and works of faculty who go above and beyond expectations and embody the college’s mission of improving the lives of the students we serve. Recipients of this award are catalysts in the presentation of cultural and educational activities, supporting the mission and integrity of South Texas College, and increasing faculty-student engagement.